So what, or rather who, are the Tiny Daggers? Well, a small ladies riding group, of course. 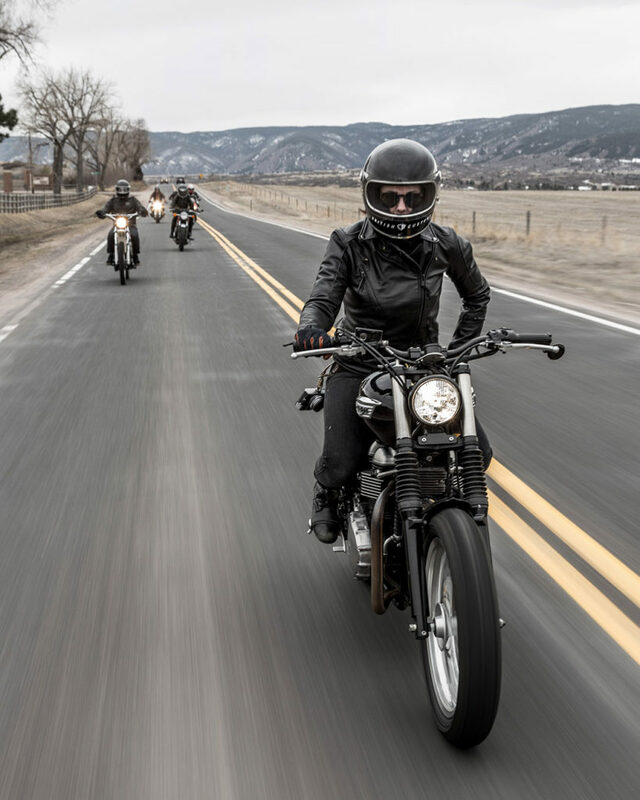 These days it’s becoming less and less surprising to see women riding motorcycles, which is wonderful to say the least! More ladies getting down on two wheels means lots of good things for us- a larger variety of to choose from is just the tip of the iceberg. 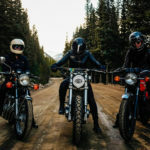 If you’re involved in the motorcycle community via social media, you’ve likely witnessed lots of new girl motorcycle clubs popping up all over the world. But what are they about? I can’t answer for the others, but in this article, the ladies of Tiny Daggers give us some insight into how and why they formed. It’s funny, thinking about how it all started and how wonderfully everything has unfolded before us. I remember the day Tiny Daggers started, we were sitting at a coffee shop in Denver, talking about the pyramid theory, drinking coffee and giggling our faces off. We thought, “What a neat way to get us to take these times to hang out and enjoy the city we live in with the people we care about.” The idea to document places we visited and adventures we had came around pretty naturally. After brainstorming for a while, thinking of songs we enjoy and symbols we relate to, we came up with the name “Tiny Daggers” as a play on words with Elton John’s “Tiny Dancer”. Originally, the name started as a simple hashtag. #tinydaggers. We still use it today in all of our Instagram posts. One of the first photos with the tag #tinydaggers, if I’m not mistaken, is a picture of our bikes on the sidewalk, one with a yoga matt strapped to the seat; that day we were walking around a farmers’ market after yoga. Not long after, there’s a photo posted that we took after a ride to a local brewery in Denver. Rides like that were the real beginnings of Tiny Daggers. We had no idea the adventure it was going to become. It wasn’t until the third ‘Dagger’ came along that we became an actual group. 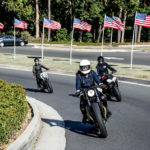 We were having fun, riding every day, and making new friends like it was our job, so we started the Instagram account in effort to keep it going. True to our current intentions, we started the account that day to motivate us to always keep life fun, moto-venture filled, and spread our excitement for this community with anyone who wanted to see it. We’re lucky enough to have some incredibly talented friends in Denver, one of which being Enrique Parrilla. This dude can take a photo, and what made it even better, is he gets us. With him and other amazing photographers such and Zach Iddings, and Kristin Park, the Tiny Daggers developed into a real ‘thing’ very quickly. 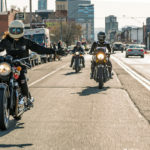 While the rapid pace that the motorcycle community has taken us in with has helped us thrive and provided us with some really cool opportunities already, it’s also pushed up to solidify our intentions behind Tiny Daggers. 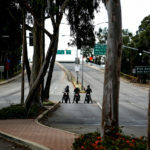 Tiny Daggers is about having fun and getting the motorcycle community to come together and get excited about riding. We realize when we do this, we remind ourselves that life is an adventure. 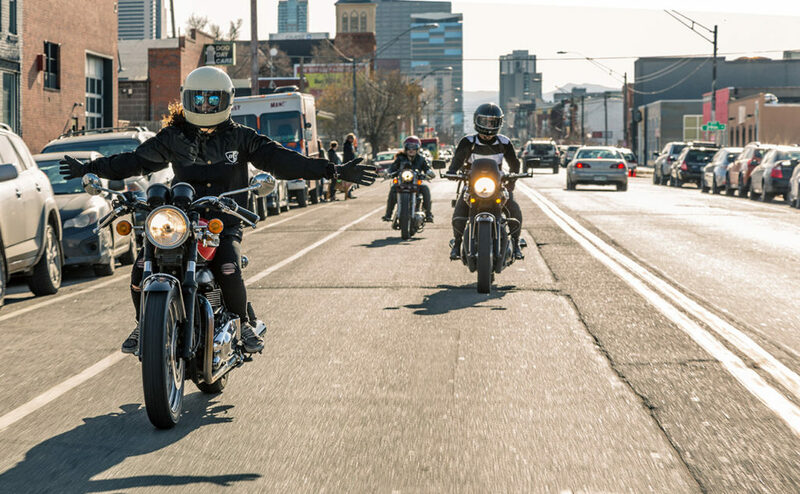 The most inspiring thing to us is the interactions we have with people within the motorcycle community. No matter the person’s background in motorcycling, whatever brought them to our page, whatever motivated them to reach out, it makes our hearts warm. Interactions like that are why we keep pushing. 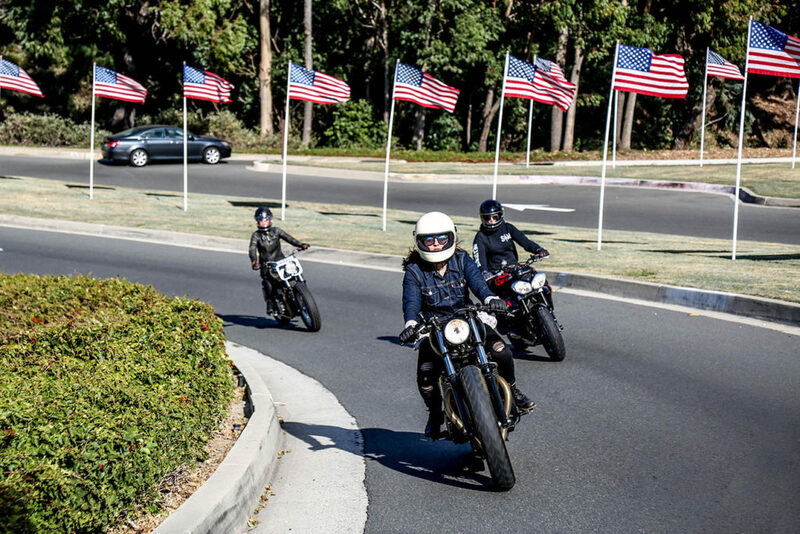 The motorcycle community and culture continues to inspire us everyday, and the interactions we are lucky enough to have is what drives us to keep doing what we are doing. If we manage to get just one person excited about the motorcycle community, and the people it’s made of, we’re a group of happy campers. Follow along with the @tiny.daggers moto-ventures on instagram. It’s very likely we will be in your neck of the woods one of these days, and we’d love to meet you. 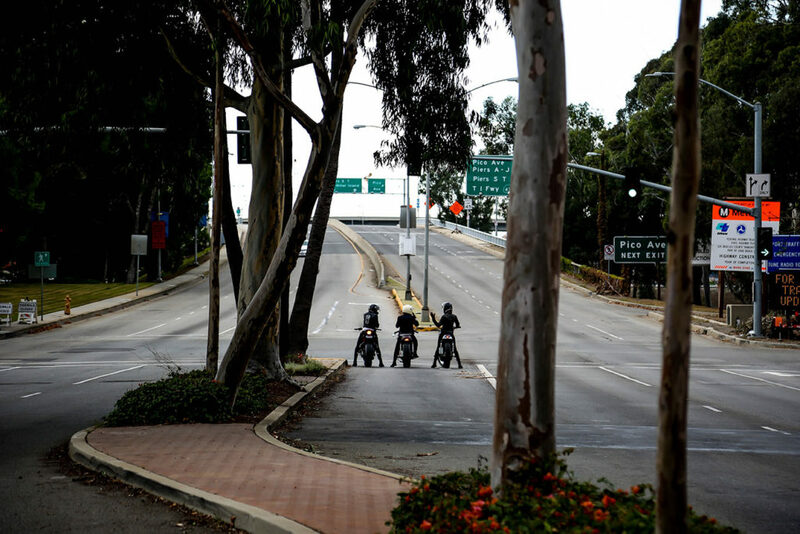 There’s no written rule that says you have to be in a motorcycle club to go ride either, though. 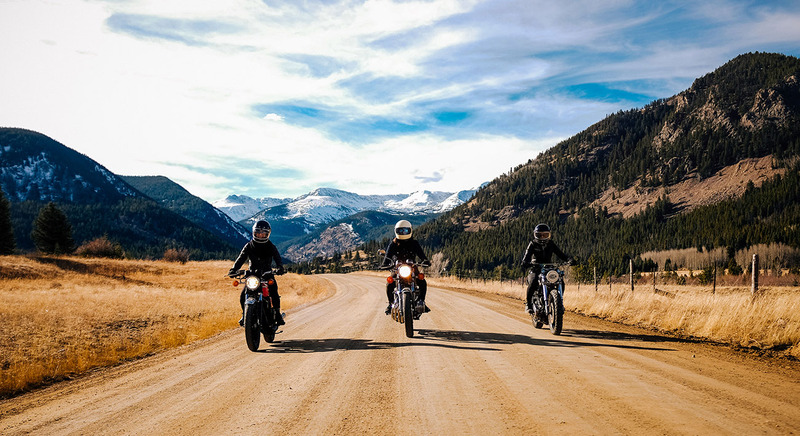 So to any motorcyclist the world over who doesn’t have a close group of friends who ride- just remember the best way to make them is to go get on your bike. 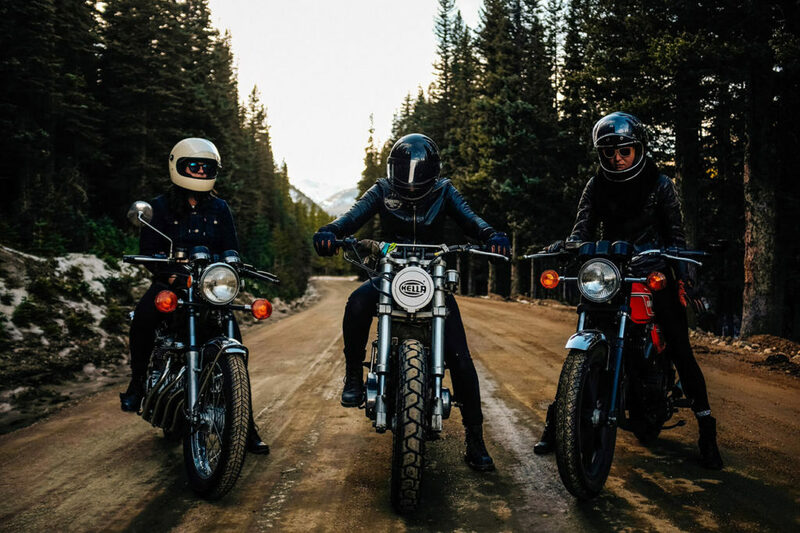 Whether you’re with a couple of lovely ladies painting the town with rubber, or out for a lovely solo Sunday ride, you might end up riding with your next best mate. When I first started riding I would go blast around my house before sunset just to see if I could find another rider to follow- I’m still good friends with a few different people I met that way (and one of them helped me build the Monster). Photos: Enrique Parilla (eparillaphotos.com), Ladd Forde (laddfordephotography.com), Kristin Park (IG @kristinlou11).